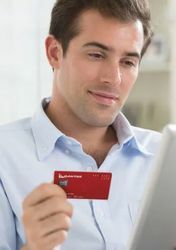 Globetrotting business travellers tend to love trying local dishes, but why wait until your flight touches down? 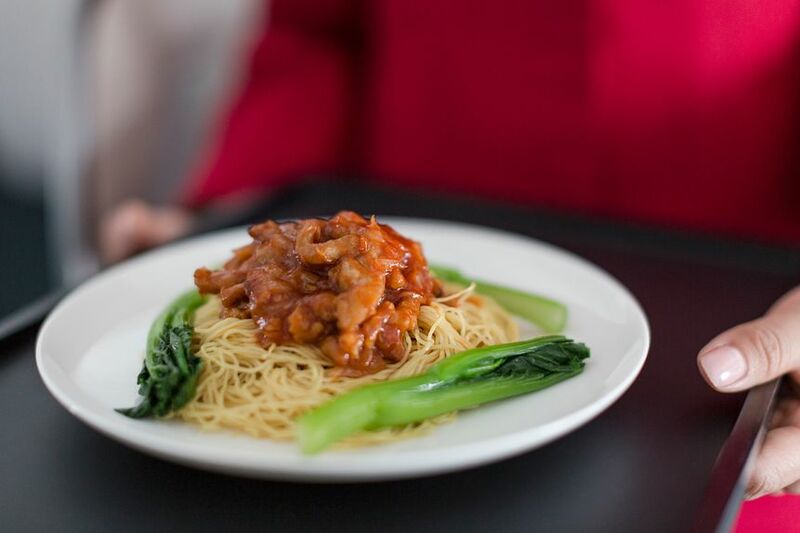 Cathay Pacific is tapping into its roots with a series of authentic Cantonese inflight meals under the airline’s new ‘Hong Kong Flavours’ dining concept. Available on flights from Hong Kong to Australia, New Zealand, Europe, South Africa and North America, the dishes reflect the diversity and vibrancy of the city’s rich gastronomic traditions. From February to April 2019, Cathay Pacific’s business class passengers will be offered Hong Kong delights such as E fu noodle soup with crab meat sauce (considered a particularly “auspicious dish” for celebrating the Chinese New Year); roast duck with lai fun rice noodles in soup; coconut and red bean pudding; and Hong Kong-style milk tea pudding with tapioca pearls. 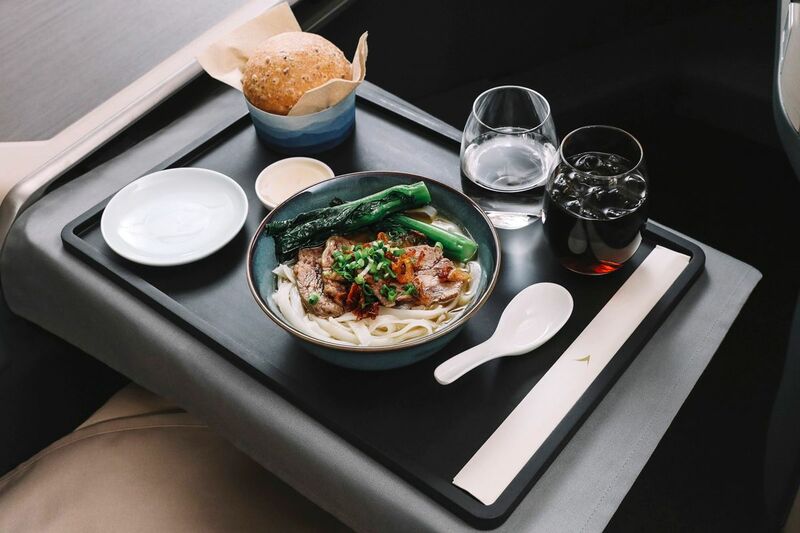 On first class flights, travellers can look forward to mains such as braised abalone with flower shiitake and choy sum-layered bean curd, and braised garoupa with bean curd and shiitake mushrooms in ginger and scallion sauce. 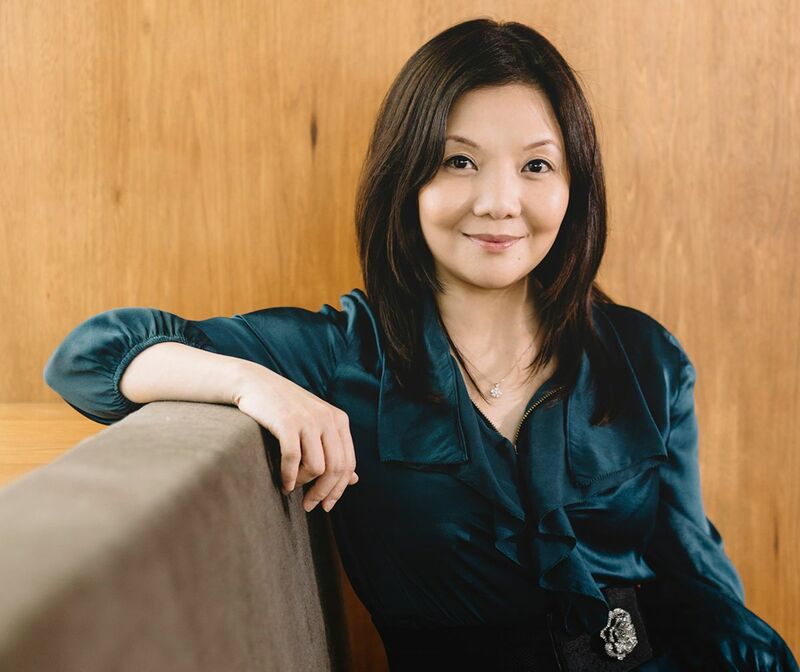 “It’s not an exaggeration to say that people from Hong Kong are crazy about food,” admits Vivian Lo, Cathay Pacific’s General Manager Customer Experience and Design (below). 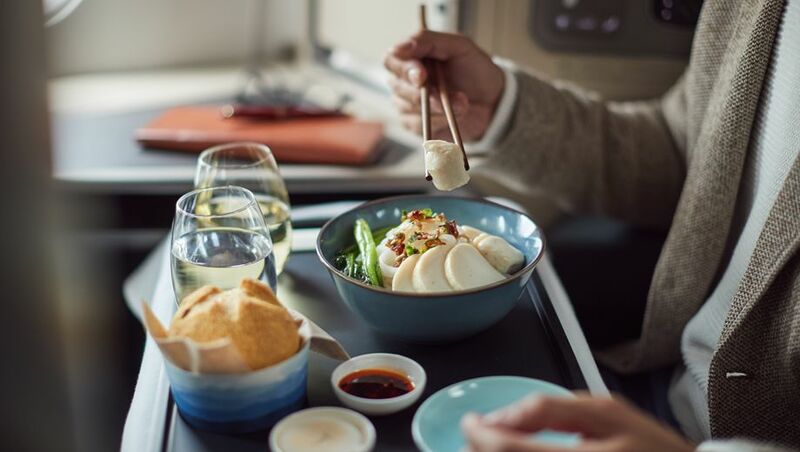 Still on the food front, Cathay Pacific will extend its new ‘business class dining experience’ to Sydney flights in May 2019 with Adelaide, Brisbane, Cairns, Melbourne and Perth following in June. Plenty of mixed reviews of the new Cathay Business Dining out there so far sine it’s Launch. I had it recently on a CX Europe to HK flight and found it a nice but small upgrade on their previous food service which has been lacking for years. It will be interesting to see how it goes on the Aus flights. The dishes sound great and look delicious in the studio photos. I wonder what they look and taste like at 40,000 feet. (“auspicious dish” for celebrating the Chinese New Year) this means for the non Chinese but culturally celebrate the Luna New Year then you are out of luck. I'm reliably advised that is the unfortunate position. The Cathay Business and First lounge experience at Hong Kong (in particular) and many international destination airports (but obviously excluding their share arrangement with Air NZ's ghastly AKL 'public cafeteria') is superb. Their in-flight culinary experience remains mediocre, at best. We (wife and self) spent quite a few years being disappointed in their in-flight food offerings before wiseing up to the (by then) obvious ... Cathay lounges are for relaxing and eating ... Cathay aircraft are for sleeping. Endorse others' comments re mediocre quality of food in Bus Class. Also, a distinct lack of non-meat options. One final comment is that on the service to Tel Aviv - which is otherwise terrific - food options including pork and shellfish are probably culturally insensitive at best. Comment on "Cathay Pacific 'Hong Kong Flavours' dishes for business, first class"